Can you believe that it's February already? Of course, that means that it's almost Valentine's Day. 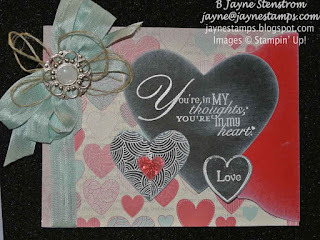 I have some samples using the Hearts a Flutter stamp set and coordinating Hearts a Flutter Framelits Dies. 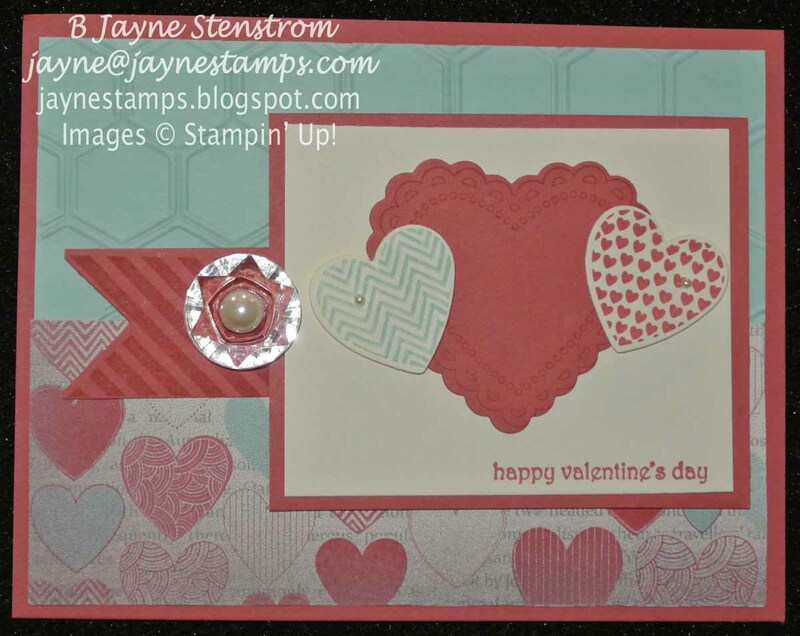 This stamp set is so versatile that it can be used for so much more than just Valentine's Day! 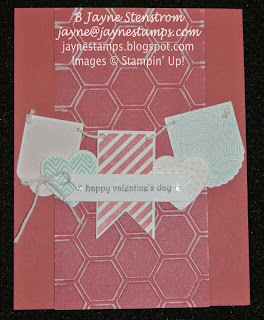 I love these stamp sets where there is a coordinating set of Framelits to cut out the images. All of these samples were from the boards at Leadership in Orlando. Also uses the Word Play stamp set and our new Designer Builder Brads from the Spring catalog. This is a very popular technique I've seen around called the "Chalkboard Technique". 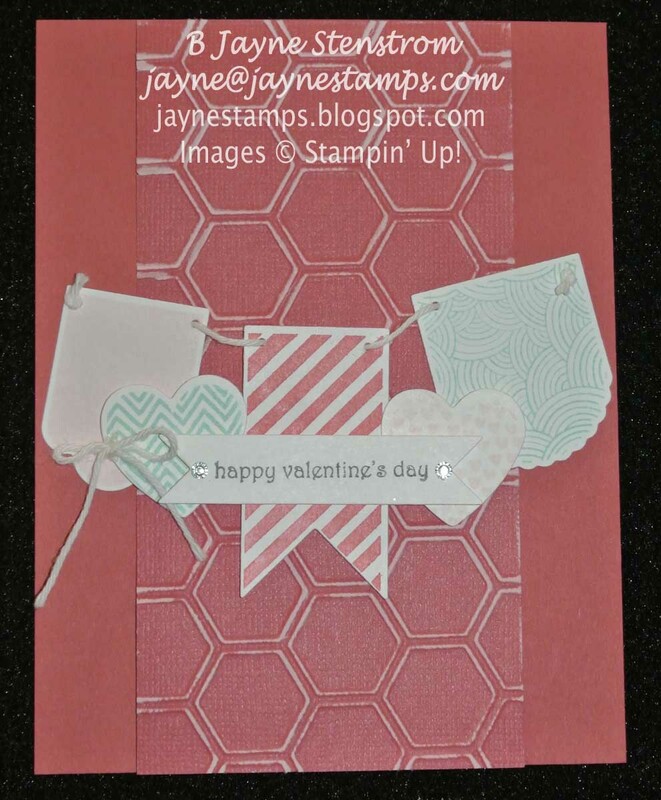 Also uses the Primrose Petals Core'dinations Card Stock and the new Honeycomb Textured Impressions Embossing Folder. More Amore Specialty Designer Series Paper was used on many of these cards. I have been having computer problems lately - it seems to shut down just randomly. Grr.... It's probably going to have to go to the computer shop to be looked at, which will take at least a week. So I'm going to try to set some posts for the rest of the week just in case it leaves me. Hopefully I won't be "gone" very long.